Mobile phones and tablets revolutionized the way we use internet and online gambling is no exception. It’s impossible to get the exact stats, but some online casinos report that currently, over 1/3 of their bets come from mobile and the numbers continue to grow. Blackjack is just perfect for mobile play. Unlike slot machines, which use extensive graphics and loose some of their appeal on smaller screens, blackjack games are as attractive on smart phone or tablet as on regular desktop. You can play for fun or for real money and if you pick a good mobile casino, you will have a wide variety of Blackjack variations to choose from. Not all top online casinos are suitable for mobile play as well. It may come as a surprise, but even now, there are still casinos that don’t even offer a mobile version. Quite strange considering the fact that there are 2.6 billions smartphone users and this number expected to reach 6.1B by 2020. There are few additional factors that should guide you while picking a mobile blackjack casino. By additional, we mean besides the ones used to rate best casino sites in general. The first thing to check is whether the casino is available on your device: iPhone, Android, Blackberry, etc. Second, the variety of games. Naturally, there are less games available for mobile play, but there are huge differences between one casino to the another. That usually depends on the software the casino uses. Mobile Friendliness: I am sure you happened to visit a site that is completely messed up on mobile screen. The buttons are too small, the text is not clear, etc. Playing on mobile should be easy and fun, if you see that the site irritates you, just move on. There are plenty good mobile casinos out there. The advantage of mobile play are pretty clear. Being able to play your favourite game anywhere and anytime is a dream come true. You can play while waiting for a bus or during a boring work meeting. Who could’ve imagined 15 years ago that it will be possible? Only Steve Jobs, I guess. Despite all the advantages, mobile blackjack does have some drawbacks. The main one is that there are more blackjack games online than on mobile. Not all the games you can find in a certain online casino will be available on mobile. If you plan to play mainly on your mobile, the solution is to pick a casino that specializes in mobile play. Naturally, all casinos convert more and more games to mobile, but some are doing that faster than others. 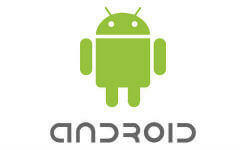 Android Blackjack: Android is the best platform in terms of variety of games and casinos. First, almost all online casinos are available on Android devices using in-browser play. Second, many sites offer Android apps which offer wider range of games and make the gaming experience more smooth and friendly. 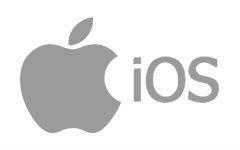 iOS Blackjack: Due to Apple’s strict policy, there are barely any real money blackjack apps available at the moment. However, you shouldn’t worry.There are plenty iOS compatible casinos that allow you to play their games on iPhones and Ipads simply by using the Safari browser. BlackBerry: playing on the go with BB device is not as easy as with Android and iOS, but still you have enough options. The only exception is US players. In terms of mobile play, most US casinos still have much work to do and currently there are not many casinos available on Blackberry. Windows Phone/Kindle: Due to lower market share, Windows and Kindle are not at top priority for casino operators. The situation with Windows phone is ok, so to speak, and there are some compatible casinos to choose from. For Amazon Kindle users it’s going to be quite tough, since there are only 2-3 site available and the variety of games is quite limited.